This season, its all about COLOR! And at Mignonne, we have it! 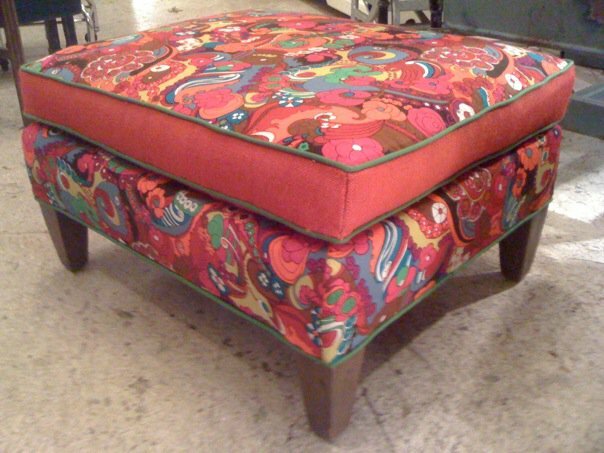 whether you select one of our hand-painted furniture pieces, a glam upholstered number from our selection of rescued and transformed chairs, couches or ottomans ... or you bring in something of your own for that design pop .. . we have all the colorful options you've been looking for. Give us call! 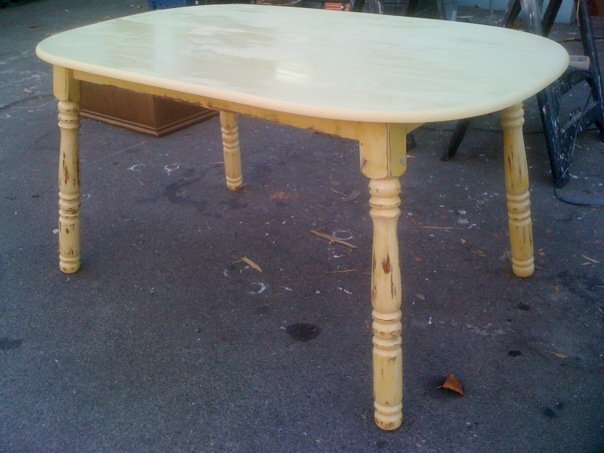 Spruce up for Holiday Entertaining! Can't believe it is already that time of year. If you've been thinking that your home could use a holiday makeover ... why not think of upgrading a favorite piece or adding less expensive dimensions to your design? Revamping something already in your home ... such as a fresh coat of paint or new textiles on a chair ... incorporating some unique pillows with your couch ... adding some vintage glassware ... Upgrading what you already have is a great reutilisation concept and something that Mignonne Décor can help with. Let Johnelle's vision add some sparkle and avoid those big box stores! the last church pew we found and transformed was so popular ... we snagged this one in a heartbeat. 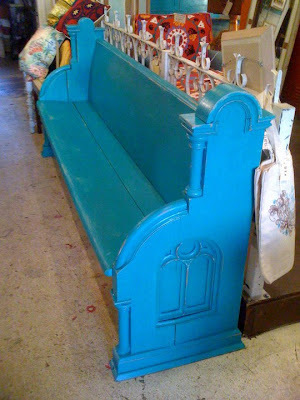 You can make a dramatic statement by incorporating a piece like a pew into your room design. These interesting and historical items serve well in a kitchen, can be used in a living space or entry and even as an outdoor element on a terrace. 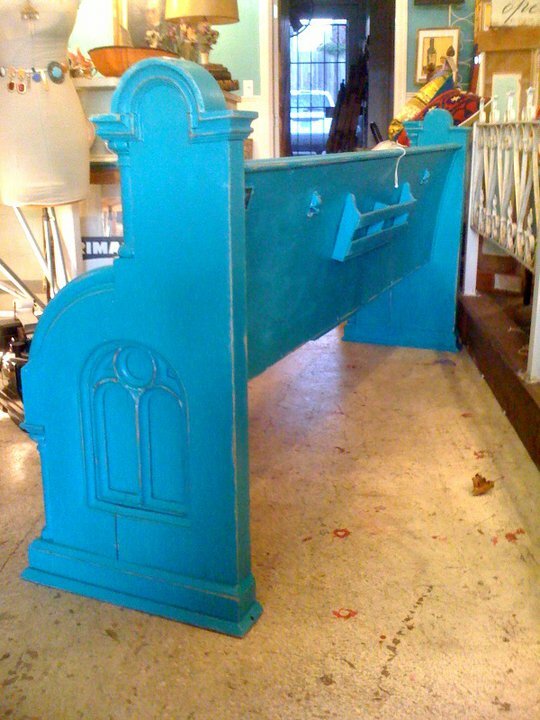 This one has been re-envisioned in an electric turquoise blue and retains some of its original elements such as the songbook holder and hooks. 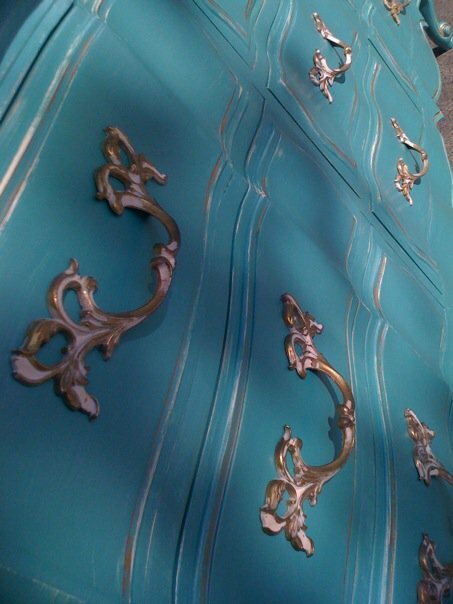 Check out the amazing details (columns, inlay design) in person by stopping by our shop to check it out! 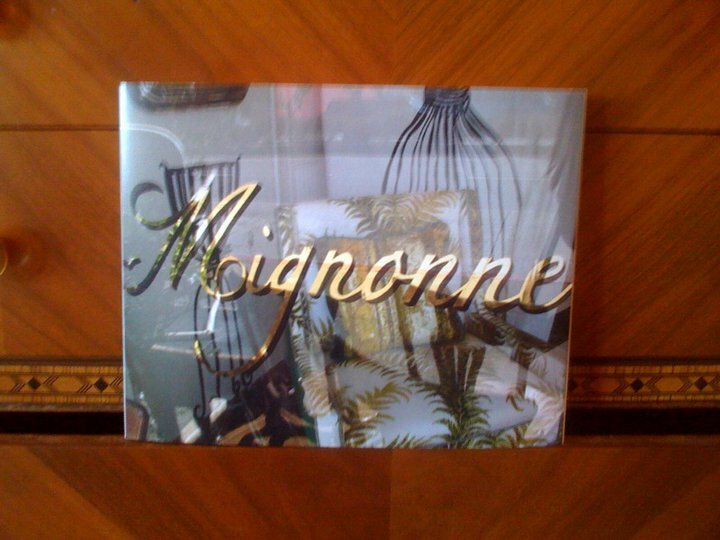 Get inspired with Mignonne's new "Look Book", a photobook featuring past projects with ideas for furniture pieces and décor for all areas of the home. This little number can help our lovely clients when choosing new colors, fabrics and designs ... ♥ Stop by to check it out and receive a free consultation on your project of the moment!